Service and maintenance are vital to your air conditioning systems performance and prolonging its life. Particularly after times of heavy use such as during the hotter months. It is especially important for the health benefits of the building occupants and preventing possible breakdowns. Regular maintenance can also prevent any build-up of mould or bacteria. The benefits of a well-maintained air conditioning system will not only increase the life of the unit but it will also increase its efficiency; saving money on your electricity bills in the long run. On the other hand, a poorly maintained air conditioning system can increase your energy costs and may also put strain on the unit. While all components of an air conditioning system need regular maintenance, the filters require more frequent attention. It’s very important that the filters are cleaned on a regular basis not only to increase the efficiency of your system, but also to maintain a healthy environment. The air conditioner filter is an important part which needs to be kept clean. A dirty filter can prevent proper air circulation resulting in longer running times or poor temperature regulation. Dirty filters block the flow of air and increase running costs. A clean filter can also prevent dust or dirt collecting on the condenser coil. A dirty condenser coil can affect your air conditioning systems ability to run efficiently by forcing the unit to work harder, which results in higher energy use. Regular maintenance can help you air conditioning system to run smoothly for longer. It can save money over the long term by preventing any small issues becoming expensive repairs. Air conditioners work at their best when serviced on a regular basis. By keeping all parts in good working order the unit can function at optimum levels and last for much longer than a unit that hasn’t been maintained over its life. Helping your unit to perform at optimum levels. Mouritz understand that you have many options when it comes to choosing a heating and cooling technician. However, we take pride in our experience and expertise. 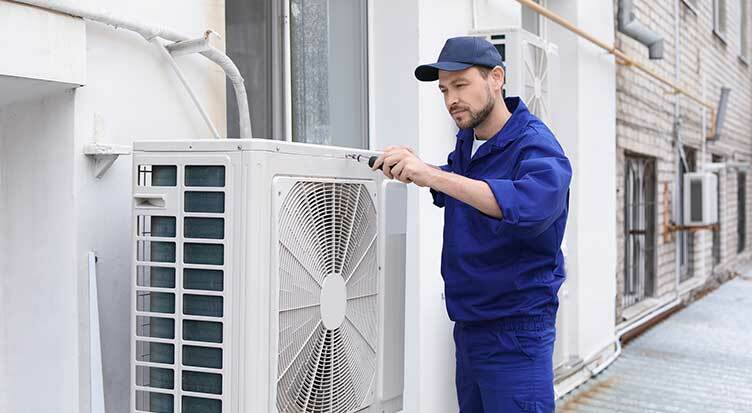 With a highly trained and experienced team which are fully licensed and insured, means that our customers can be confident of our highly professional standard of service for all of your air conditioner maintenance needs. If you would like to learn more about the benefits of air conditioning service, Perth WA property owners should contact us. The Mouritz team are specialists in all air conditioning service issues. Our team members are also available to answer any queries you have or to schedule your appointment.